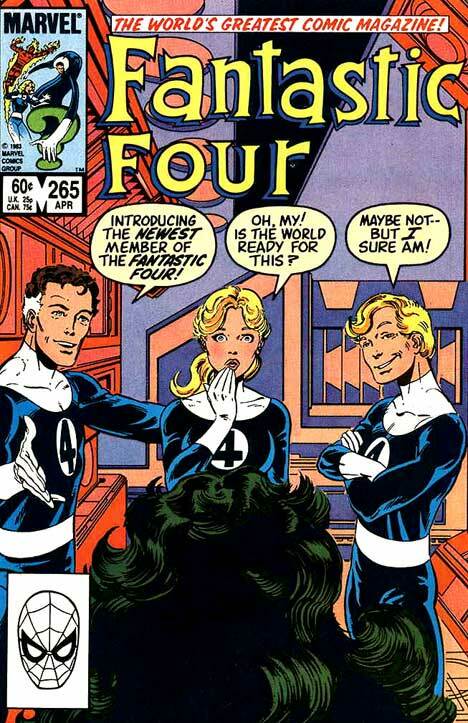 Back in the 1980s, John Byrne changed up the classic team line-up for the Fantastic Four, ditching the Thing for She-Hulk. I vaguely recall fandom being initially upset over the move because the Thing was such a beloved character and She-Hulk, at the time, was still largely seen as a blank slate. Roger Stern had done a fair amount to provide her with some character development over in Avengers but that was still relatively recent and amid a larger cast. The other issue fans had was that She-Hulk was a complete outsider. The Fantastic Four were largely about family (an extended family, but still a family) and She-Hulk had almost zero history with any of the team members. Prior replacements like Crystal and Medusa made some sort of sense and even Power Man's brief stint with the team was not at the expense of losing another character. But what Byrne smartly did was almost immediately throw the team into a situation in which She-Hulk's status as an outsider was immediately apparent and part of a specific character point. He made it very clear that she was NOT a true replacement for the Thing, and her superficial value to the team (physical strength) did not automatically qualify her as Thing's ready-made stand-in. Several of her early stories in the book followed in which she was seen acclimating herself to her new home and her new team. Some years later, after Mr. Fantastic "died", he was replaced by Ant-Man. (The Scott Lang version, not Hank Pym.) He was another character that was largely a blank slate, but did have the advantage of replacing a hole that was created several issues before he arrived instead of one that was generated by his arrival. But he never really felt right for the book. That was, in part, because he was never really integrated into the team. In the story, he was cited as being hired for his scientific knowledge and, in that sense, he was filling the Mr. Fantastic's superficial role as resident smart guy. But where I think writer Tom DeFalco dropped the ball here was that he didn't spend any time integrating Ant-Man into the team. 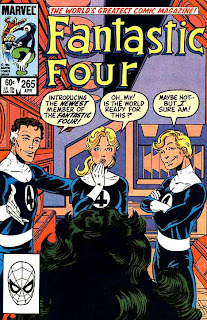 They shot from one adventure to another with little down-time, and much of the characterization efforts went into the Invisible Woman and her dealing with losing her husband. So when examining the integrations of She-Hulk and Ant-Man into the Fantastic Four, it's actually difficult to make direct comparisons. The two were treated so very differently that there almost is no comparison. But, given She-Hulk's and Ant-Man's comic book careers since then, I think it's fair to say that Byrne did a better job endearing his replacement member into the hearts of fans. Yes, "fly-by-the-seat-of-your-pants" was the phrase which I've generally associated with Tom's FF storylines. Individual stories had their good and bad but I do think the long-term result was a disorienting mess. That said, I think comparing the team "fit" of She-Hulk and Ant-Man in this way is kind of apples and oranges. She-Hulk eventually integrated into the family and felt like a very natural presence in the book, certainly, and there were various reasons for it but a big one is that there was a family for her to integrate with. Whereas Tom (intentionally) broke the FF and left it that way through basically the entire time Ant-Man was hanging around. I guess this is subjective, but I feel like none of the members felt like they really fit with one another through those years that Reed was gone, and even most of the handful of issues between his revival and the Onslaught story. I think that had TD meant for Ant-Man to feel like a comfortable presence in the book, the circumstances of his arrival would have been entirely different and included official "you're one of us" status more or less from the start.